Our Board of Directors is comprised of leaders in nonprofit management, medicine, business, finance, and law who provide strategic oversight and guide the pursuit of our mission. Andy Schoelkopf is a partner at Menconi & Schoelkopf Fine Art, a leading private art dealer located in New York City that specializes in American paintings, drawings, and sculpture of the eighteenth-, nineteenth-, and early twentieth-centuries. Andy was raised in a family of art dealers, the son of Robert and Jane Schoelkopf, who ran the prestigious Robert Schoelkopf Gallery in New York until the Robert’s death in 1990. Working at the gallery until its close in 1991, Andy then joined Christie’s, where he rose to head of the American Paintings Department. Andy is a past board member of the Private Art Dealers Association, of which his gallery is a member. 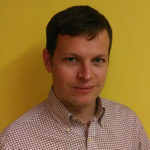 Andy holds a Bachelor’s degree from Denison University and a Masters of Business Administration from Fordham University Graduate School of Business. 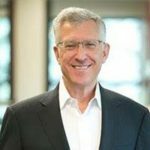 Joel Beckman is a Managing Partner of Greenbriar Equity Group LLC, a private equity fund. Prior to founding Greenbriar, Mr. Beckman spent 18 years at Goldman Sachs, where he was a Managing Director and Partner. He is also a Director of Hexcel Corporation, a Senior Trustee and member of the Investment Committee of the University of Rochester, a Director of Stepping Stone Day School for handicapped children, a member of the Metropolitan Council on Poverty and a member of the Board of Advisors of the Yale Law School Center for the Study of Corporate Law. Mr. Beckman was diagnosed with chordoma in 2009. 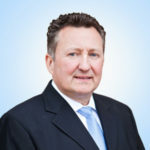 Ingemar Lanevi is an experienced finance executive with more than 25 years of corporate work at brand name, high-tech companies including NetApp, SGI, and HP, focused in the treasury and financing areas. 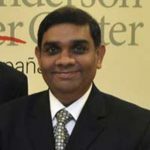 Most recently, he has been involved with high-tech startup ventures TransCirrus and ReveMed Technologies, as the CFO and finance advisor. He is on the Board of Directors of Lease Accelerator Inc., a software company in the leasing industry, where he also serves as chair of the Audit Committee. He has been a member of the Chordoma Foundation’s Finance Committee since 2012. 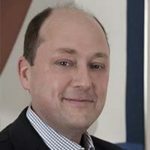 Ingemar has a master’s degree in finance from Purdue University in West Lafayette, IN and an undergraduate degree in Business Administration from Flagler College in St Augustine, FL. Kerry Shad is a partner with Smith Anderson, focused on representing employers in all types of employment-related litigation and counseling. She also handles complex commercial litigation matters. Kerry has been recognized as a leading employment lawyer by Chambers USA, Best Lawyers, Legal Elite and Super Lawyers. Within Smith Anderson, Kerry serves on a number of leadership committees, including the Compensation and Recruiting Committees, in addition to serving as the Co-Chair of Smith Anderson’s Diversity Committee. Kerry is a graduate of Florida State University and received her law degree from UNC Chapel Hill. David Drewry, PhD, is a leader in the medicinal chemistry of protein kinases and an expert in drug discovery. He is a principal investigator at the first U.S. site of the Structural Genomics Consortium (SGC), a public-private target discovery consortium that catalyzes research in new areas of human biology and drug discovery. This center is housed in the UNC Eshelman School of Pharmacy at the University of North Carolina, Chapel Hill, where David is a Research Associate Professor. 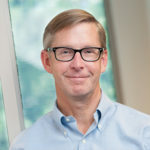 One of the lead architects behind SGC-UNC’s research strategy to build an open and collaborative network for target discovery, David previously spent nearly 25 years with GlaxoSmithKline, where he directed the chemical biology group and helped to build the Published Kinase Inhibitor Set (PKIS), a collection of 376 compounds that GSK made available for external screening. Under the auspices of the SGC, he’s working with a wide range of companies and foundations to expand this initiative. Steven Mandel resides in London, working as a Director at Denham Capital, a private equity fund, where he focuses on principal investments in the global power and renewables sector. Prior to joining Denham Capital, Steven was a member of the Global Power Investment Banking group at Citigroup. He also serves on the Board of Directors of Jenner Renewables and BioTherm Energy. 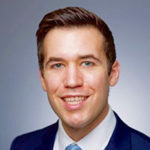 Steven earned a Masters in Finance at the London Business School, a Bachelor of Science from Lehigh University, and holds the Chartered Financial Analyst designation. Steven is a chordoma survivor, and since his recovery in 2012, has led an annual half marathon fundraiser for the Chordoma Foundation, raising over $250,000 to date. For his efforts, Steven was highlighted as one of our Featured Champions. Dr. Patel is the Robert R. Herring Distinguished Professor of Clinical Research at the University of Texas MD Anderson Cancer Center, the Medical Director of the MD Anderson Sarcoma Center and the Deputy Chairman of the Department of Sarcoma Medical Oncology. Additionally, he is president of the Connective Tissue Oncology Society, and a member of the Executive Committee and Chair of the Clinical Research Committee for the Sarcoma Alliance for Research Through Collaboration. David Sandak, Vice President of Accelerate Brain Cancer Cure (ABC2), works in the early stages of the discovery and development pipeline to speed progress of innovative new cancer treatments to the clinic. As the manager of ABC2’s seed investment fund, David has pioneered novel approaches to investing in academic and commercial research, launching startup scientific and social enterprises aimed at advancing genomic analysis for cancer patients. 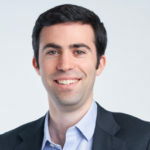 As a spinout from ABC2, David founded Allele, a social enterprise startup that provides robust genomic profiling to cancer patients in order to guide clinical care and power large-scale data research. He also actively works with the Rare Cancer Research Foundation (RCRF), a nonprofit dedicated to curing rare cancers through strategic investments and collaborations that catalyze effective research. With David’s help, RCRF recently launched Pattern.org, a flexible platform bridging gaps between cancer patients and scientists. With a diverse background that spans corporate, government and non-profit management, David is adept at forging collaborative research partnerships between all the players in the medical research ecosystem. 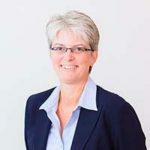 Christy Shaffer, PhD is a seasoned entrepreneur and biotech executive with more than 25 years of experience in the life science industry, including as President and CEO of Inspire Pharmaceuticals for more than a decade. Under her leadership, Inspire was named “Best Place to Work for Scientists” by The Scientist magazine, and “Best Place to Work in North Carolina,” prior to being acquired by Merck in 2011. Christy is currently a General Partner at Hatteras Venture Partners in Durham, NC, where she serves on seven portfolio company boards, three of which she chairs. She also serves on nonprofit boards, including the Morehead Planetarium and Science Center, the NC School of Science and Mathematics, and the Frank Hawkins Kenan Institute of Private Enterprise Board of Advisors. 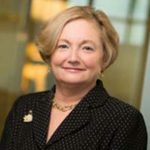 Christy also served on the board of trustees of the Cystic Fibrosis Foundation and chaired the board of Cystic Fibrosis Foundation Therapeutics (CFFT), Inc., the CF Foundation’s nonprofit drug discovery and development affiliate. Josh Sommer is Executive Director of the Chordoma Foundation, which he co-founded to speed the pace of chordoma research after he was diagnosed with a skull-base chordoma in 2006. Following his diagnosis, Josh spent two years studying chordoma in the lab of Dr. Michael Kelley at Duke University. In 2008, Josh left the lab to lead the Chordoma Foundation after receiving an Echoing Green Fellowship for social entrepreneurship. To complement his work with the Foundation, from 2008 to 2011 he served as a Fellow in Strategic Philanthropy and Health in Duke’s Program on Global Health and Technology Access, where he studied models for sharing of scientific data and biological materials. He currently serves a member of the National Cancer Institute Director’s Consumer Liaison Group, the Moffitt Cancer Center Total Cancer Care External Advisory Board, and the Board of Advisors of the Fibrolamellar Cancer Foundation. For his efforts to advance chordoma research, Josh was honored by ABC News as a Person of the Year in 2008. 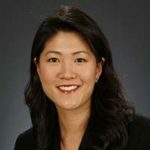 Paula H. Song, Ph.D. is an Associate Professor in the Department of Health Policy and Management in the Gillings School of Global Public Health at the University of North Carolina at Chapel Hill. Prior to joining the faculty at UNC-CH, she was an Associate Professor at the Ohio State University. Dr. Song’s research interests and publications focus on financial aspects in healthcare management and policy and their effects on the delivery and utilization of healthcare services. Dr. Song received her Ph.D. in health services organization and policy from the University of Michigan. She also holds a Master of Health Services Administration as well as a Masters of Arts in Applied Economics, both from the University of Michigan, and a Bachelor of Arts in Biological Basis of Behavior from the University of Pennsylvania. Board committees provide ongoing oversight and strategic planning for the Foundation’s key functional areas. They include both Chordoma Foundation directors and external advisers who provide expertise and perspective in subjects relevant to the business of the committee.